Recently, I was in the hospital for a bladder augmentation surgery. I have a neurogenic bladder due to my injury which causes my bladder to spasm. In the past, I was on medication and was getting Botox injections at least every six months, which was effective for many years but gradually my body became resistant to the Botox. I decided to coordinate someone to be with me most of the time during my week’s stay. My husband was able to be there some of the time but also had to go to work so I arranged for a helper to come in off and on, as well. My intuitions were correct and a lot of times, it was difficult to find someone to help me with basic hygiene like passing me my toothbrush, giving me sips of water, setting out my meals etc., never mind such luxuries such as showering or washing your hair etc.! They did have some wonderful students that were super helpful but they were only there certain days and times. Fortunately, prior to my surgery, I had the privilege of being able to access two of our amazing mobileWOMEN contributors, who are RN’s and also happen to use a wheelchair too. They were beyond helpful and answered my never-ending list of questions, before being admitted. That being said, we decided as a group to compile a list of helpful tips for any of our readers that may be preparing for a hospital stay. -Sanitizing wipes for wiping handles etc in the room: I’ve heard several stories about people getting infections while in the hospital (they have a name for it, nosocomial infections - hospital acquired). Even though the doctors and nurses were diligent with sanitizing their hands, the germaphobe in me, felt more reassured knowing we had wiped down handles, light switches etc!. From our RN’s: Make sure the doctors and nurses wash their hands upon entry. If they don’t, please insist that they do. Don’t be afraid to ask for that. More hand-washing is better than none. -Dry shampoo: This can be purchased at drug stores and online. The one that I purchased was a powder that you put on the roots of your hair and brush through. Granted, it didn’t feel as effective as shampoo but it definitely helped my hair to not feel nor appear greasy. -Mouthwash, toothbrush and paste, dental floss and lip moisturizer: They did have toothpaste and a very stiff toothbrush available but I preferred my own. -Soapless facial washcloths: I know that this sounds a little crazy but they actually work! You just add water and do not need a cleanser. There are also facial wipes that can feel refreshing and very convenient. Minimize your beauty regime, as much as possible. -Cosmetic Mirror: I was feeling much too rough for make-up but if you do feel up to it, i didn’t see a mirror that I could use, especially if you are stuck in bed. -If you are more comfortable in your own jammies, bring them. You can wear them as long as there is no chance they may be soiled by wound. No metal on clothes though. If you wear softie socks to prevent heel breakdown, bring them also. -Bring your own lotion, if you feel pretty using it. The hospital will have generic, fragrance-free lotion. -Request however many pillows as needed to maintain comfort. -If you are planning a several day stay and can bring your own snacks, do so but label them with your name. If they need refrigeration, that can be done too. -Cell phone or way to call others: I had a difficult time wrestling with the heavy call-button that was attached by a cord so I felt better knowing that I had a back-up. You could put the hospital’s number in your phone and call the front desk, if necessary. -Cell phone charger or back-up charger of some kind. -Keep a current list of medications and supplements with names, dosages, and times of administration. Just in case your hospitalization is of an urgent nature. -Maintain a current contact list on your phone. -If you have a Power of Attorney or Living Will, bring your copy. If you don’t have one, consider getting it done. Hospitals always ask if you have one. 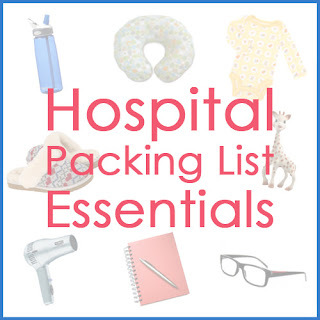 *An IMPORTANT reminder: The hospital is NOT responsible for any lost or stolen items so don’t bring any valuable items like jewelry etc and also label all of your belongings with your name and phone number. I made the exception of bringing my phone and kept an eye on it.) Label your chair and cushion also. Have your name on the bottom in magic marker. - Do ask for help as needed. Do NOT be afraid that you are bothering the nurses. Make sure your bedside table is close by and all necessary items within reach at ALL times. Make sure call light is available and as Wendy already stated, use your cell-phone to call nurse’s station as needed. Be sure to have fresh water to force fluids, if you have physician’s permission. The nurse's’ job is to anticipate your needs and once they are completely done in your room, they move on to next patient. So don’t hesitate to be sure all is available to you while she/he is in the room. -At each shift change when meeting a different RN and Patient Care Tech, let them know what your needs and concerns are for the shift. For example, that you must be turned every 2 hours, you’d like some help with brushing your teeth, or you would like a bath. They should already be aware of these things from charting and nurse reports but this way nothing falls between the cracks and the staff can plan their day making sure you get the care you need and deserve. Discuss your schedule. Don’t be afraid to ask to have a bath done. Tell her/him what time you would like to plan the activity so she can coordinate with her schedule. Nurses are there to care for you. But you as the patient need to communicate if there is something more they need to do for you. -Most nurses are not trained to care for a patient with spinal cord injury but that doesn’t mean they cannot. They only need to be educated in YOUR care. We want to make the patient experience as positive as possible.